Cotton swabs not getting the job done when trying to remove your pesky earwax? That’s why one of the most effective methods of earwax removal is to use an ear wax removal candle to do what's called earing candling, which is a non-invasive method that places the bottom of a special ear wax removal candle into the ear. The aromatherapy ear candle is an ancient therapy spread to date by Indians. 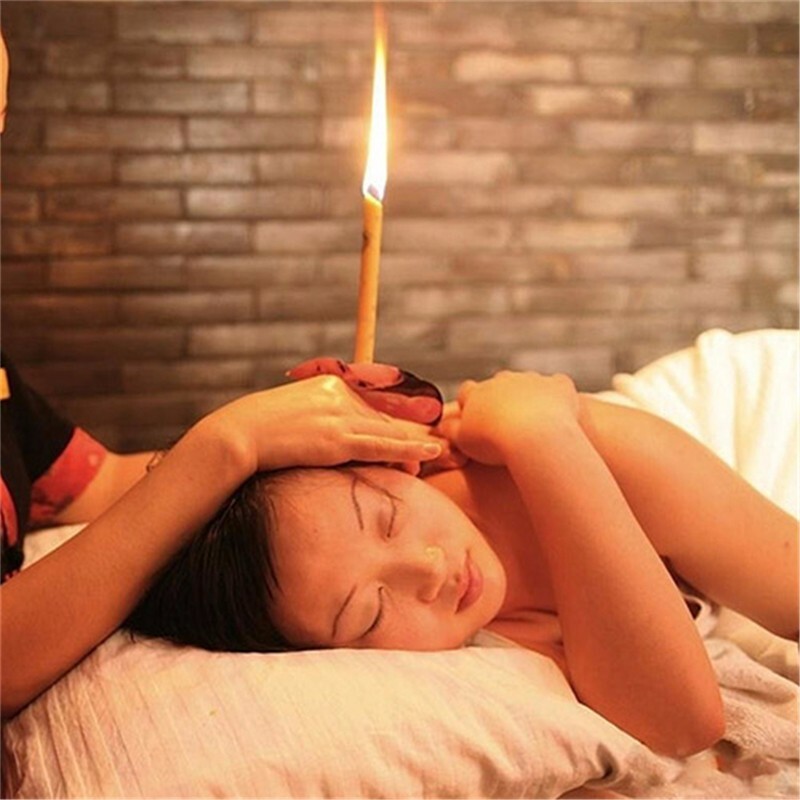 Ear Candles can benefit conditions affecting the head and ears such as sinus congestion, ear noises, and excessive earwax. The rising air through the column of the candle and gentle natural movement of the flame serve to gently massage the eardrum, it creates a low-level suction force that pulls wax and debris out of your ear. Premium Natural Materials: We use only the finest organic plant material, dipped in 100% pure beeswax collected from honeybee hives. Hypo-Allergenic: No smelly smoke or dirty ash. Each handcrafted candle burns cleanly for 10-12 minutes max, so it won't aggravate asthma & allergies. Soothing & Relaxing: Traditionally used for wax removal, your Hopi ear candles are also perfect for aromatherapy. As they burn, you'll savor their calming warmth, pleasant crackle & chamomile scent. Medical-Grade Quality: Unbleached for purity, these Certified-CE candles contain no harmful chemicals or pesticides. Package Including You get 10 colorful candles in all - 8 different scent(Red - Rose, Orange - Orange Fruit, Brown - Sandalwood, Yellow - Bergamot, Purple - Lavender, Blue - Rosemary, White - Mint, Green - Tea ).